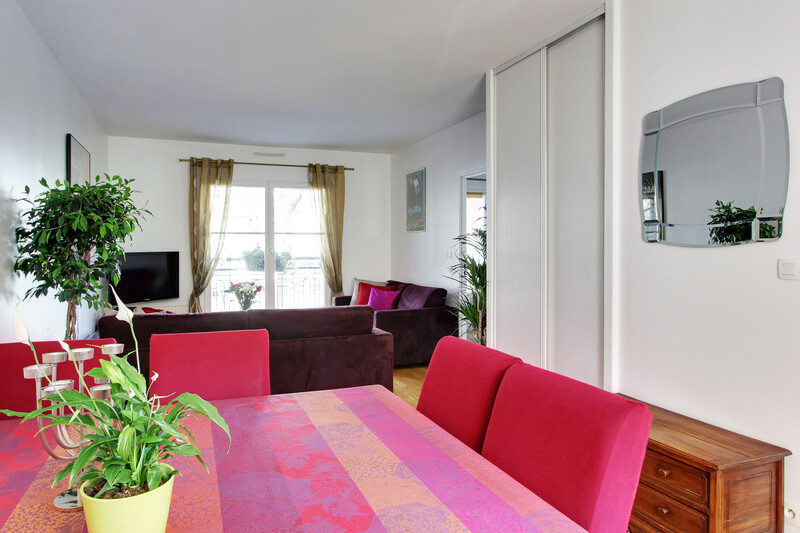 This one bedroom apartment can sleep up to 4 people and is located on the Canal St Martin where you overlook the canal from the comfort of the sofa. 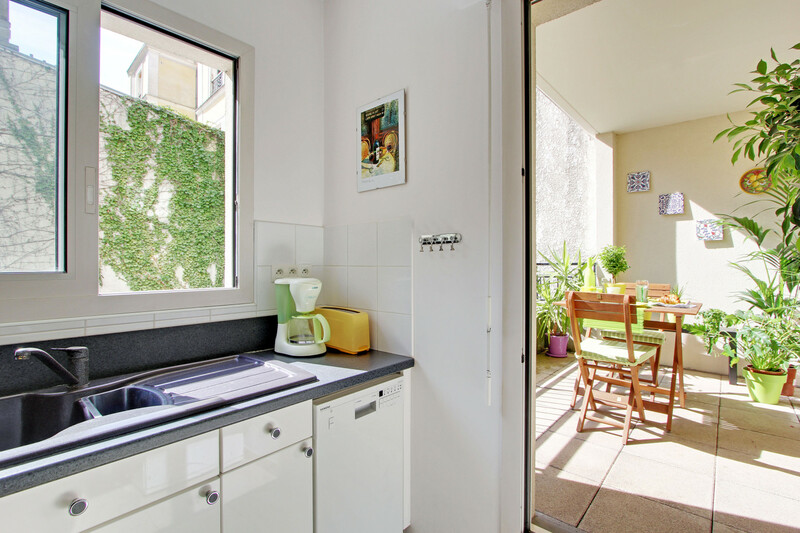 Within walking distance of the Marais, it has all amenities close by; local shops, supermarkets, food and art market, as well as an excellent choice of restaurants and cafes. The flat overlooks the Canal St Martin at the front while the terrace is at the back so there is no vis-a-vis from the terrace! Located on the first floor, with elevator, the apartment is 50sq metres or 540 sq ft.
With entrance hall, a large dining / sitting room, an en-suite bedroom, separate toilet and a standalone kitchen equipped for people who love cooking. 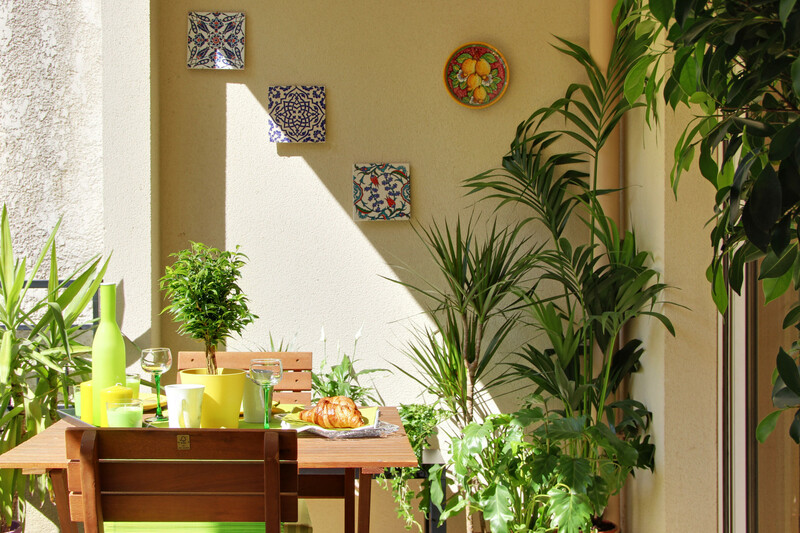 Both the kitchen and the dining side of the large room open onto a terrace overlooking a small garden. The comfortable sitting room has a two-seater sofa and a queen size sofa bed (both by Natuzzi), a 42 inch flat screen TV, Cable TV with integrated Blu-ray DVD player and a music player docking (iphone, ipod and MP3). The dining area has a 150 cm square dining table allowing for comfortable dining for up to 8 people. The bedroom has a double bed, a large closet, 2 suitcase stands, 2 bed-side tables with ambient lighting for pre sleep reading. 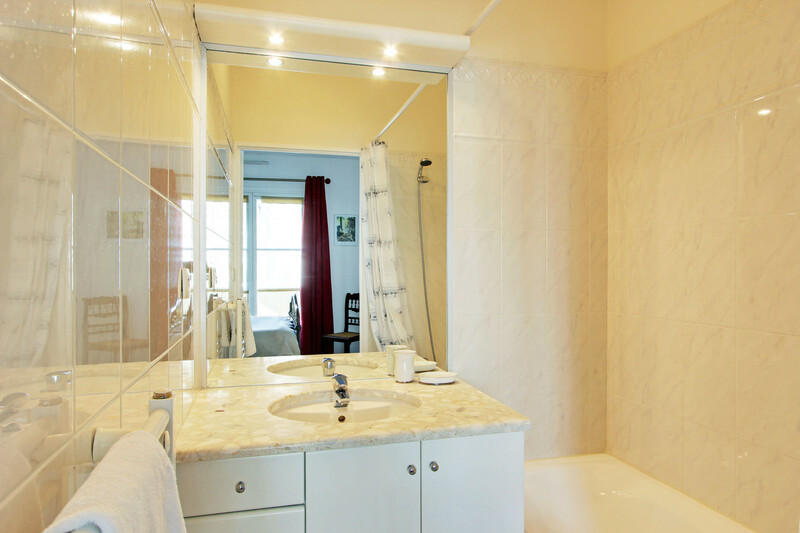 The ensuite bathroom has a bath with a wall shower & shower curtain, a basin within a built in marble-topped cupboard. The toilet is off the entrance hall in the flat and includes a wash hand basin and mirror. There is free high speed Wireless connection and unlimited International calls to landlines. A laptop is at your disposal for the time of your stay. Parking is available in the lower basement, reached by a car lift - let us know if you would like use of the parking during your stay there is an extra cost for the use of the parking space. The building was constructed 10 years ago so has a large elevator and good size rooms with no lost space and was designed to blend with neighbouring Haussmanian architecture. The apartment is minutes away from metro Republique (lines 3, 5, 8, 9, & 11), 12 minutes away from Rue de Bretagne with all its lovely food shops plus the oldest food market in Paris, Le Marché des Enfants Rouges (dated back to 1615), 20 minutes from Modern art museum: Beaubourg and 30 minutes from Hotel de Ville. In the spring and summer evenings, the canal-side is a popular picnic place for local people, and aspiring musicians sometimes entertain the diners. Cafés and quirky boutiques flank the water, which is traversed by beautiful wrought-iron footbridges (remember the skimming stones in the opening shot of the movie 'Amelie"? this is where it was filmed). There is an outdoor market along the canal in the direction of Bastille, which is open Thursdays and Sundays (largest market in Paris), the Bastille creative art market on the same location every Saturday. On Sundays, the streets directly alongside the canal, Quai de Valmy and Quai de Jemmapes, are reserved for pedestrians, roller-bladers and cyclists - perfect for renting a bike and seeing the city from a different perspective. Another possibility is to take a tour of the canal by boat. 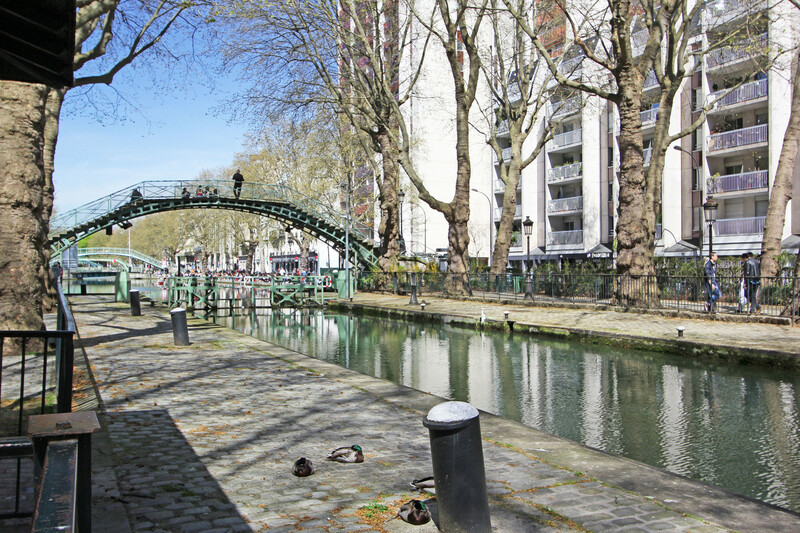 Visitors of all ages should find something to love alongside the Canal Saint-Martin including numerous playgrounds along the canal going towards Bastille (15 minutes away). Try dinner in the excellent brasserie at Hotel du Nord, or the nearby La Marine, or a hearty feast at Bastille's Bofinger Restaurant. The famous Chez Prune cafe is also just 10 minutes walk along the canal. We had a great time indeed. Loved the apartment and location. A few recommendations - not complaints. 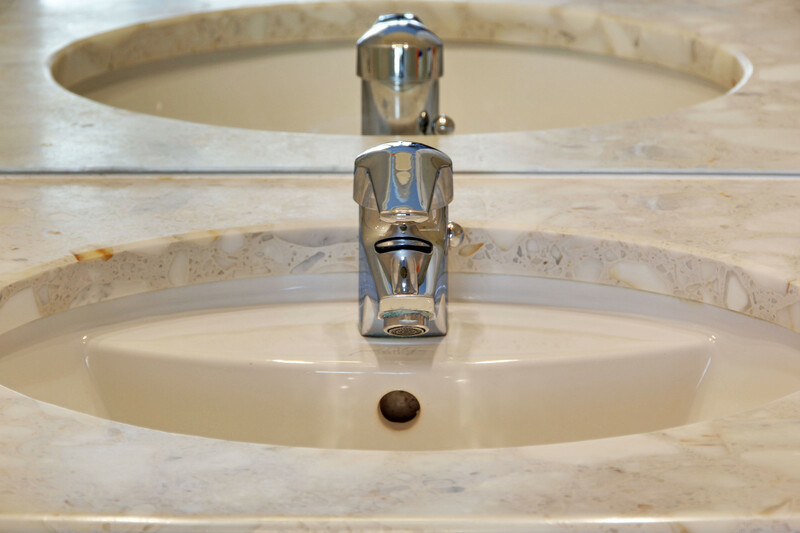 Explain more fully how the hot water heater works, provide air freshner for the toilette. Other wise it could not have been better. We would highly recommend it to friends and family. We stayed for a week in Paris and were really pleased we'd chosen this accommodation. It's homely, well equipped and handy for shops, eateries and the metro. Georgina was there to 'meet & greet' and we settled in very quickly. It's a great place from which to explore the city and always a joy to return to. There was a great buzz along the canal side on Friday evening when the picnic crowds appeared. We had a wonderful time in the lovely appartment at the Canal St Martin. It was clean and cosy and has a complete furnishing. Many metro lines nearby at the Place de la Republique. Hope to go back one day! The Canal View apartment offers a chance to feel like part of Paris without being inundated with tourists. It's located just off Place de la Republique in a neighborhood better described as interesting than charming: it's borderline hip nearby, working class across the canal, and generally "neighborhoody," but within walking distance of destinations such as the Marais or Ile de la Cite. Multiple Metro lines run through Republique, so it's easy to get around the city for farther destinations. There are markets, restaurants, boulangeries, shops, post office, banks, etc. nearby. In general, it's an easy and convenient place to live short or long term. The apartment itself is much like the neighborhood - functional more than charming. It works well for up to four people, assuming two are kids who don't mind sleeping on a sofabed. The kitchen is very functional, reasonably well stocked and equipped, and even comes with an item missing from most tourist apartments: sharp cutlery! It was a bit cold inside during our mid-winter visit, but the heaters eventually warm the place up. Street noise and neighbor noise was minimal. It was too cold to take advantage of the terrace off the kitchen, but during warmer months this would be a welcome outdoor space. In general, this apartment is recommended for those seeking to settle into Paris as a resident, even if for a short duration. This is our third time renting this same apartment, for a total of 10 weeks. You couldn't ask for a better view- both from the front window and from the back terrace. It's in a perfect location- with a neighborhood feel to the convenience of the nearby Republic Metro stop. 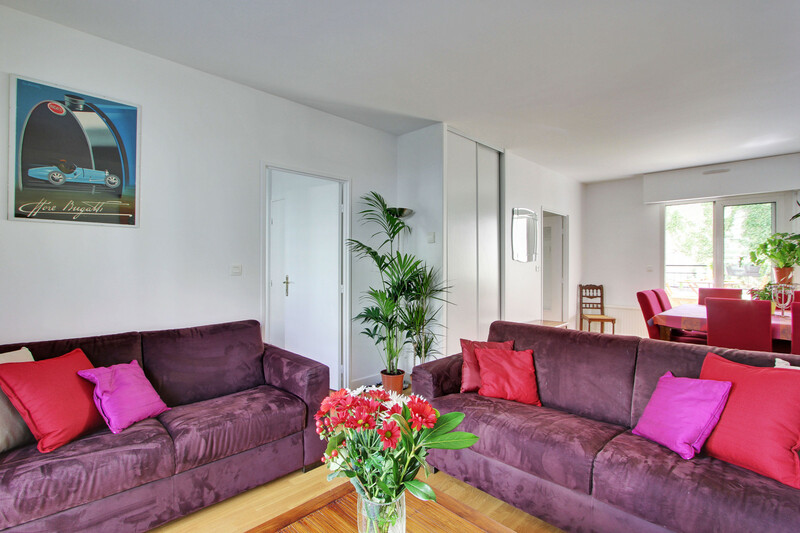 Great apartment, great location, great management team with smooth check-in process and very helpful tips for convenience and Paris touring. Will book again if it is available at my next trip. What can I say only that we had a lovely time & thanks to your rep for waiting for us to arrive as our flight was one hour late and also there was an RER strike which delayed us a bit more in having to go and find a taxi. One small thing which might help you. the coffee maker leaks water but was usable once we left it on the draining board. your rep told me the previous visitors had told him and he thought he had it fixed. Again thanks for your efficiency. Spent 11 wonderful days in Paris at the Canal apartment. The apartment was exactly as shown in the photos. It was close to a grocery store, local bakery, 2 farmers markets and there was wonderful cafe/ restaurant on the corner beside the apartment. The kitchen was well stocked and we were able to cook most of our meals using fresh foods we purchased at the markets. The beds, linens and towels were high standard. The neighbourhood was lively and fun and we spent afternoons sitting by the canal sipping wine and watching the boats go through the locks. We took the metro from the République station (a 5 minute walk away )to many of the major tourist sites. 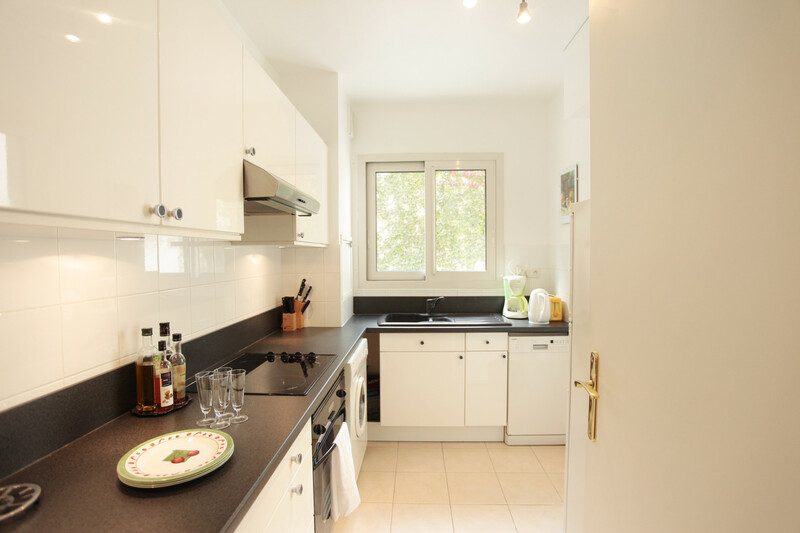 Would strongly recommend this apartment as it gives you the feel of being in an authentic French neighbourhood but is close to the major tourist sites. My husband and I recently spent ten nights here. The location is fantastic - lots of wonderful restaurants and shops, and easy to get anywhere via foot or metro. It was so pleasant not looking right into another apartment, which seems to be the norm in Paris. The view out the front window is the beautiful canal, and there is always something going on. The terrace out back is private and a wonderful place to enjoy coffee in the morning or a glass of wine during the evening. My only complaint is that the bed is a bit too firm, but that's just my personal preference. My husband loved it. Would definitely stay here again! Paris in the winter can be depressing. It gets light late and dark early. So I was pleased to find that the apartment at 35 Quai de Valmy was filled with light from sun-up to sundown: Morning sun streaming in directly into the large window facing Canal St. Martin and afternoon sun reflecting off the apartments across the street, as well as onto and through the balcony in the rear of the living room. The kitchen in enormous and well equipped (four different corkscrews!). The bedroom is attractive, and the bathroom shower is everything one could hope for. Good restaurants within walking distance (as well as a Franprix), and the metro connection at Republique takes one most places in Paris without a transfer. I was very pleased with the apartment. This is the 2nd time we rented this apartment for a month. I can honestly say that there is really nothing to criticize. It has the perfect location, in the middle of things, but one in which you still feel like you have privacy. 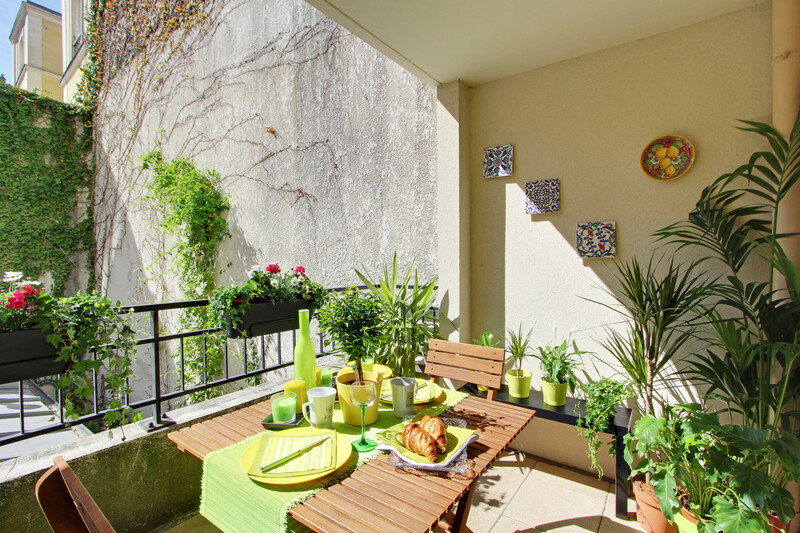 The back terrace was why we initially rented this apartment over others. We had breakfast there each morning and the afternoon sun made it a wonderful place to have dinner. The metro stop (Republique) which is about a block away had connections to most places we wanted to go in the city. The rental process was smooth and the agency was very good about sending directions and answering any questions we had. You would be hard pressed to find a better rental. 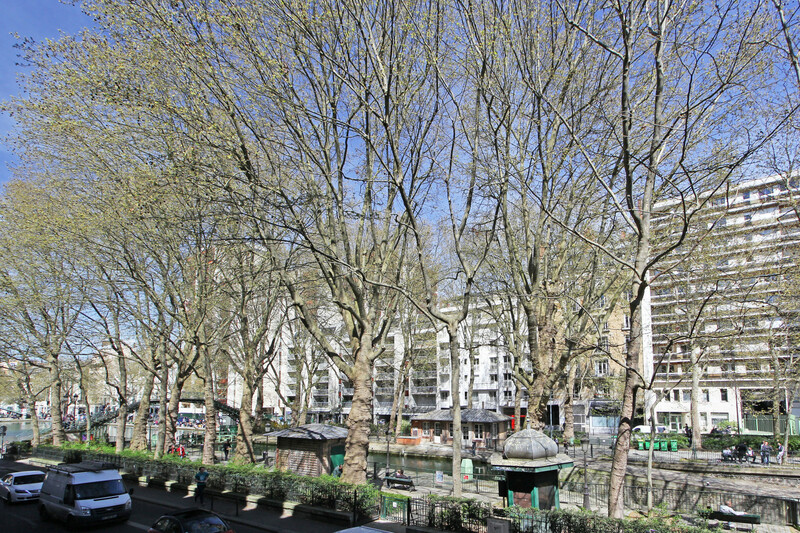 Well located closed to Republique Place in front of Canal Saint-Martin. Nice flat, quiet, well furnished, closed to some bakery, Picard, small supermarket. We appreciated to be there - Main entrance with safety lock and underground parking in option (through a car lift). Overall nice organization for booking and local reception. Very comfortable apartment in a great location. Clean. Well represented in the pictures. Great location. Just far enough away from the major tourist sites to allow for a more authentic local experience. The flat even had a champagne stopper! How perfect is that? We (two of us) stayed here for 12 days over Christmas and New Year's. From beginning to end, our stay couldn't have been better or more enjoyable. Cherline texted us just after arrival at the airport and met us at the apartment. She was completely professional, immensely helpful and quite welcoming. The apartment was perfectly prepared for our arrival. We made breakfast every morning (it's also around the corner from a wonderful bakery) in the well-stocked kitchen and had the majority of our dinners in the apartment as well. The appliances, including the washer/dryer, were in perfect working order and the refrigerator was full-sized and more than large enough for all food needs. The coffee maker and espresso machine were an added bonus. There were plenty of dishes, glasses, silverware, pots, pans and utensils. The layout of the apartment was ideal. Having the toilet separate from the shower was a nice feature. The apartment is incredibly quiet (a tiny bit of street noise, but nothing excessive) and there is more than enough room to spread out, whether relaxing or dining. The bed was incredibly comfortable, with lovely sheets, pillows and blankets. Towels are provided and the shower was fantastic - easily the best water pressure we've ever experienced in France! And plenty of hot water. The location is fantastic. It's in a neighborhood that (for now, at least) is low on tourists and results in a more Parisian experience. It's a very short walk to the Metro and there is a good grocery store on the other side of the canal. There are plenty of restaurants, boulangeries, patisseries and specialty food shops within a few blocks. Strolling along the canal made for a great walk. 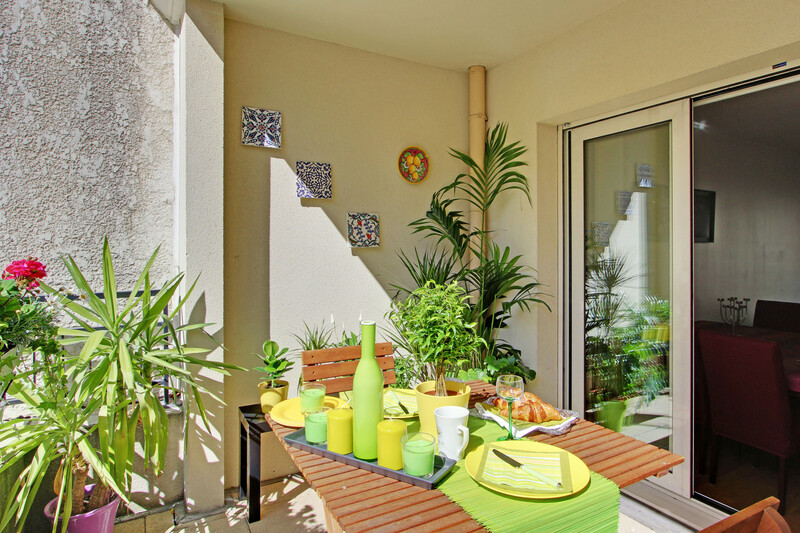 The heart of the Marais is very close and it's very convenient to and from the airport (CDG). We would absolutely stay here again the next time we're in Paris. It is affordable, perfectly-sized, in excellent condition and in a terrific location. I can't recommend it enough. The flat on Quai de Valmy was really excellent. We would definitely stay there again. The bed was comfortable, the kitchen was well stocked with cooking equipment and some basic supplies. And the person who greeted us was very helpful with suggestions of nearby restaurants as well as commerces that he recommended. As always, for Americans, it would be great to have one more than one towel per person for longer stays but this has decidedly improved overall in France. The terrace was also wonderful for good weather, and despite the view from the apartment directly onto the Canal St. Martin, the bedroom was quiet and calm for sleeping. Overall, excellent. My wife and I stayed here for our 10th anniversary. The location, in the 10 arr right on the Canal, was incredible. The neighborhood is vibrant and young, with shops and any kind of restaurant you want. There are open air markets nearby, and it is a three minute walk to the closest metro station. The property was well maintained and had wifi. There is a cute balcony outside to enjoy wine and cheese while relaxing. I highly recommend this property. We could not have picked a better flat to live in for a week in Paris! Schön, mit kleinen Mängeln ! My partner and I spent two weeks at this apt. And truly loved it. By far, the best feature is the view out the French door windows which look out a canal lock on the Canal St. Martin. Boats came and went all day long. The bed was very comfortable and street noise was not a problem. There is both a McDonalds and Subways less than a block away. Very walkable to the heart of Paris. The Republique subway stop is very close and the 75 bus takes you in town. My family and I loved our stay in this apartment. You look out on the Canal St. Martin and have easy access to great restaurants, shops, parks, and the Metro. The kitchen is stocked with everything we needed to enjoy a few meals at home, and there's even a Nespresso machine for morning caffeine. Our train was delayed getting to Paris, but Ben rearranged his schedule to meet us at our arrival and help us get to know the apartment and the neighborhood. It was great to feel like we had a contact in the city who could help us. We'd definitely stay here again! 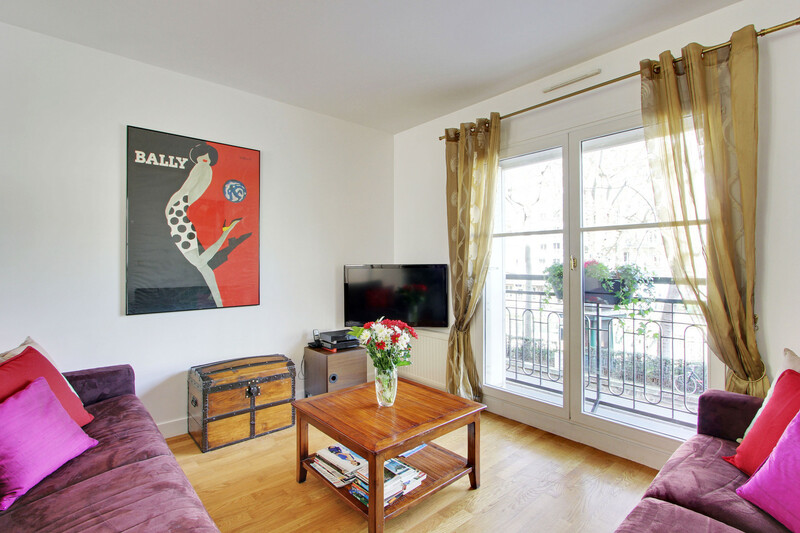 Quai de Valmy is a really vibrant side of Canal St Martin, and this lovely apartment is right in the centre of the action. Really spacious and clean, a comfy bed, and a sunny terrace all add up to a memorable stay in this buzzy and interesting area. The balcony overlooks the canal and it's lovely iron bridges, and is within a stone's throw of some really interesting and eclectic restaurants and bars - don't miss Marcel on the opposite side of the Canal! The agent, Ben, was delightful and very helpful, and despite the TV remote not working so we couldn't watch the football, tennis or Tour de France, it didn't matter as there was so much to see and do in the area. We would thoroughly recommend this apartment, and the area. This is a lovely one bedroom apartment, a good size and well laid out. There are two large windows and a balcony overlooking the Canal St Martin so the aspect is very leafy and pleasing. Well appointed throughout with everything we needed for a comfortable stay. The location is great, a short walk to Republic and lots of cafes and little food shops. And an easy stroll to the Marais district. Loved the four days we spent there, and we would recommend it to anyone looking for a truly Parisienne experience. Ideal accommodation ; great location. 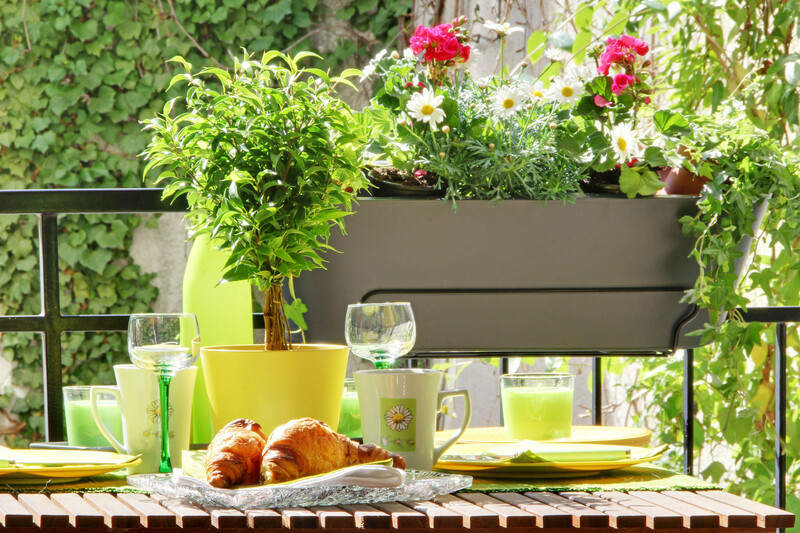 The apartment is bright, clean and has a very enjoyable setting: from the front windows you can enjoy the hustle and bustle of Paris and the view of the canal Saint-Martin, while at the back there is a quiet terrace where you can hear the birds singing and nurture live plants. Everything that a tourist could need was provided and worked perfectly, from umbrellas to a grocery cart, including a well-equipped kitchen and plenty of hot water. The layout of the apartment was perfect with all of the rooms, including the kitchen, having ample space. The living room area is comfortable and the large dining room table was much appreciated for entertaining. Closet space was ample. The immediate neighbourhood has many convenient stores and boutiques. The close proximity of the Metro at Place de la Republique (a big hub) allowed quick access to all parts of Paris, even though all of the main attractions are walking distance away. Elodie and James, from Paris Rental Connections, were dependable and pleasant. We will not hesitate to recommend the apartment to family and friends and will surely choose it for our next visit to wonderful Paris.
" 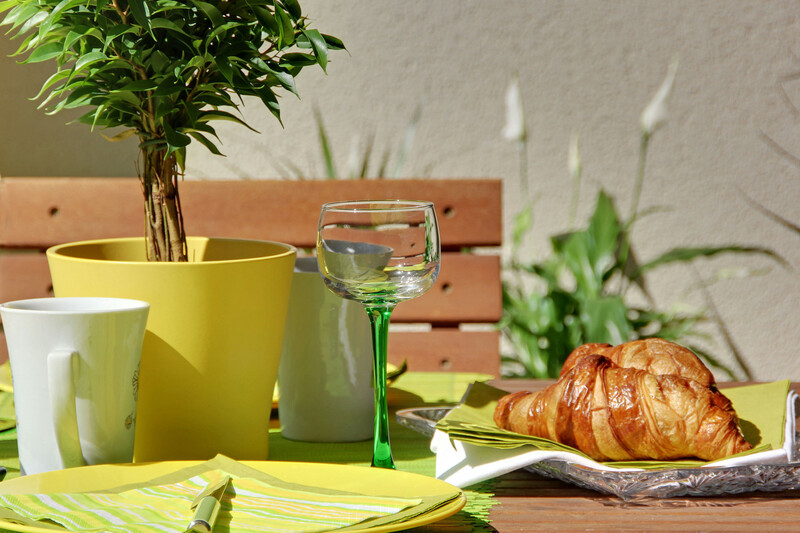 Great Paris self catering accommodation, great location"
Great place, great location. Very good introduction to the apartment and its amenities. We have visited Paris about 7 times in the last 10 years and have usually stayed in the 3rd or 4th, and have explored Paris on foot and by metro. We wanted to visit a different area on this trip. This apartment was the perfect choice. It is exactly as pictured/described - the sunny terrace was lovely for relaxing in the afternoon, and the living room overlooking the Canal was great for watching the boats waiting for the water in the lock to raise. The local agents were very responsive, from check-in, during our stay, and check-out. For those who enjoy cooking an occasional meal in, there is a wonderful Tuesday and Friday open air market only two streets away. Canal St. Martin is a lively, slightly gritty, young neighborhood. Weekends are great to for enjoying a picnic along the banks. Very nice apartment in a not-yet touristy neighborhood of Paris. The local agent was helpful with information about the apartment and the neighborhood, and was always available to answer any questions. The private terrace is sunny in the afternoons, and was a lovely place to relax between our morning and evening outings. There is a great Tuesday/Friday open air market just two blocks away on Richard Lenoir (where Madame Maigret shopped). The kitchen has everything needed for preparing the wonderful finds in the market. And, for morning coffee treat, there is a fabulous bakery around the corner at 34, Rue de Toudric. Their chocolate pistachio "escargot" (morning pastry) was mouth-watering (this is a bakery only, no coffee/tea served). We thouroughly The only thing we found that could use "refreshing" is the mattress. While comfortable, it is beginning to sag towards the center. We thoroughly enjoyed using this apartment as our base for exploring a new (for us) arrondisement. Great location, nice appartment,we loved the balcony. contact with the agency was perfect and a very friendly rental agent wellcomed us. We spent 10 days in this apartment and enjoyed very moment there. It is ideal for a couple, is very comfortable, has all modern amenities and wonderful views of the canal and boats going though the locks. 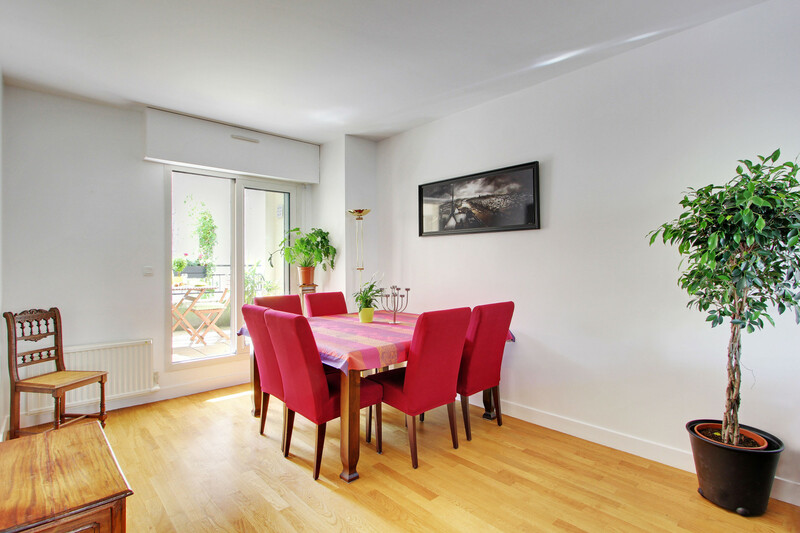 The apartment is only minutes away from Republique Metro and close to shops and restaurants. Located on the first floor above the street, outside noise is kept to a minimum by double glazing and shutters. The agent who met us was very courteous despite our arriving a few minutes late and made us very welcome. The agency itself made the booking easy. 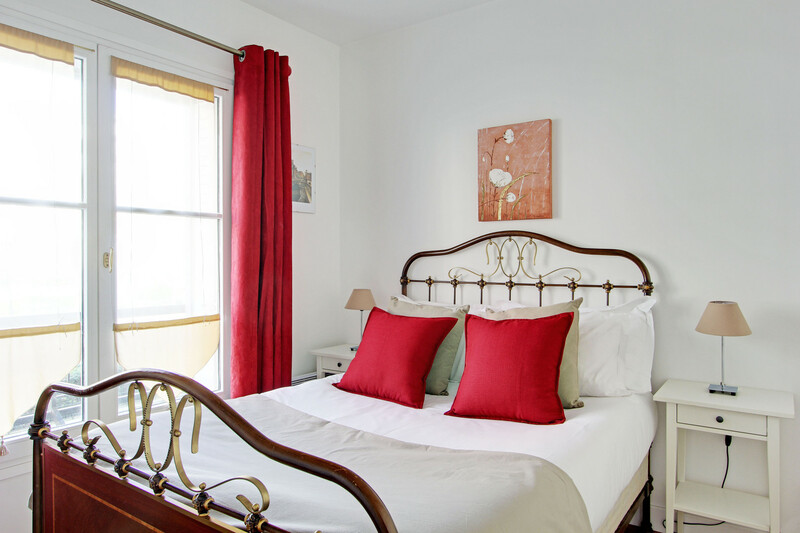 Given the opportunity, we would love to stay at Quai de Valmy again. 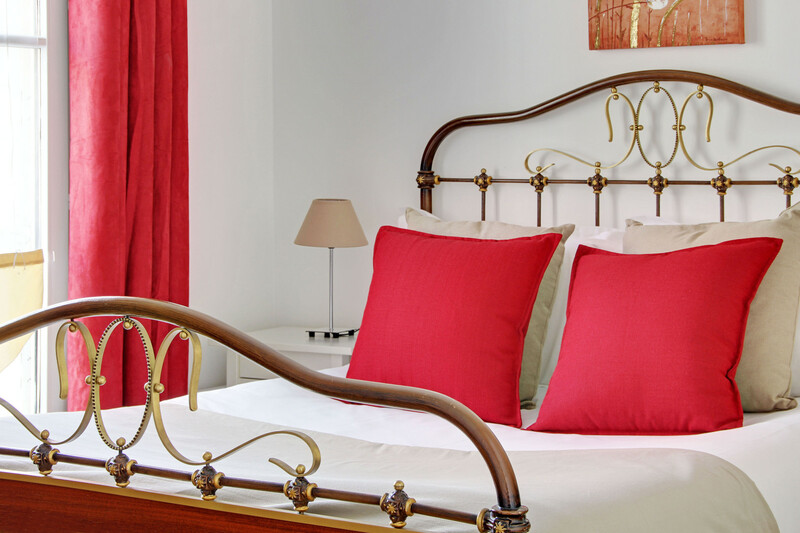 "Wonderful, relaxing place to stay in Paris"
From the first, this was a wonderful experience. The apartment suited us well, with space to spread out yet cosy enough to enjoy. The views over the lock were perfect. The wifi worked well and there were free calls to home (Australia) landlines as a bonus. All in all, we had a great time and are sure you would too.
" 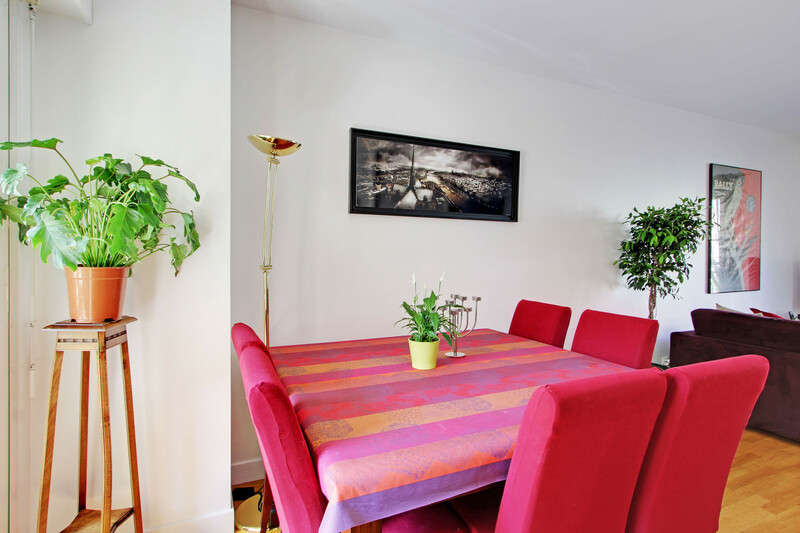 Great Location and Comfortable Apartment"
My family and I spent four days in Paris and this apartment was everything we needed. It's very close to the Metro and within easy walking distance to a number of shops, restaurants, and museums. The apartment itself is quite comfortable. The kitchen is very well appointed with the odd little things travelers might need, such as scissors and olive oil. Also, the Paris agent, Mats, brought us a lovely bottle of wine, which was a nice gesture. All in all, I would highly recommend the apartment. Great spot, fun to watch the large boats in the lock. This apartment is conveniently for access to the Metro at Republic station, where a number of Metro lines intersect. What a gem! Overlooking the canal with a terrace in the back. Didn't mind the resto beneath as it added to the environment and we went down there the first night for a fun meal. Not much noise as the double glazed windows cut out most of the street "noise" Good Cambodian restos over by the hospital and a great Indian restaurant other side of the canal with a name like Michelle ( not very Indian sounding) Looks and feels just like the description. Local agent very helpful. Go for it! Quai Valmy felt secure and safe. It's located on a busy, lively street but you would never know because the windows all have their own safety screens that keep out the noise. We all slept great even though we stayed over the weekend and tons of people were enjoying Quai nightlife. Staying on the Quai was great because there are pocket parks located all along it. We took a long walk from the apartment down to the Seine, with our two kids. It was no problem for our teenager but getting to stop at every park along the way, really helped break up the journey for our younger son. There was even a flea market lining the Quai on Saturday and it was a great experience for us all. As far as the apartment goes it was clean and comfortable. Someone was in apartment when we got there and went over all the information about the apartment, such as how to work the appliances, tv, internet, heater, etc. He was very thorough. The washing Machine was interesting because it was also a dryer. Our family has multiple food allergies and we avoid gluten. Twice we visited Helmut Newcake, a gluten free bakery, which was less than a 10 minute walk from the apartment. It was excellent and one of the reasons we chose Quai Valmy was its close proximity to Helmut Newcake. There were also plenty of places to buy groceries nearby to meet our needs when we were not gorging ourselves on the gluten free treats. Another great thing about the apartment was that the toilet was in a separate room from the shower. It allowed more than one person to be able to use the facilities at a time. The apartment was great and we loved the location!
" Charming apartment, excellent location with terrace AND parking!" We are regular visitors to Paris but this was the first time we had stayed in the Canal area. We were here for New Year and we were not disappointed. 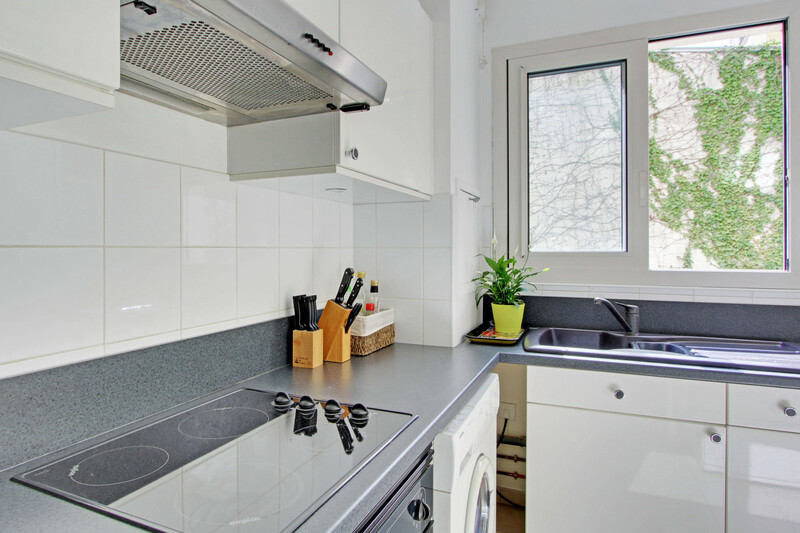 The apartment is comfortable, well equipped (especially the kitchen) with real attention to detail. The location is excellent, within walking distance of all the main tourist spots but in a quiet area, with a lovely view over the canal where we could watch boats navigate the lock. There are shops and a small supermarket close by and an excellent bar/cafe/restaurant called La Marine at number 55, which was lively and served excellent food. A bonus of the apartment was the secure underground parking and the sweet little terrace which, had it been summer, we would have made full use of. We were greeted warmly on arrival and presented with a bottle of wine. Every effort was made to ensure that we were well catered for. We had a wonderful week here and it would be lovely to return in the summer when the Quai really buzzes - we have walked here in previous years and it is a lively area especially further up the canal in Quai de la Seine. 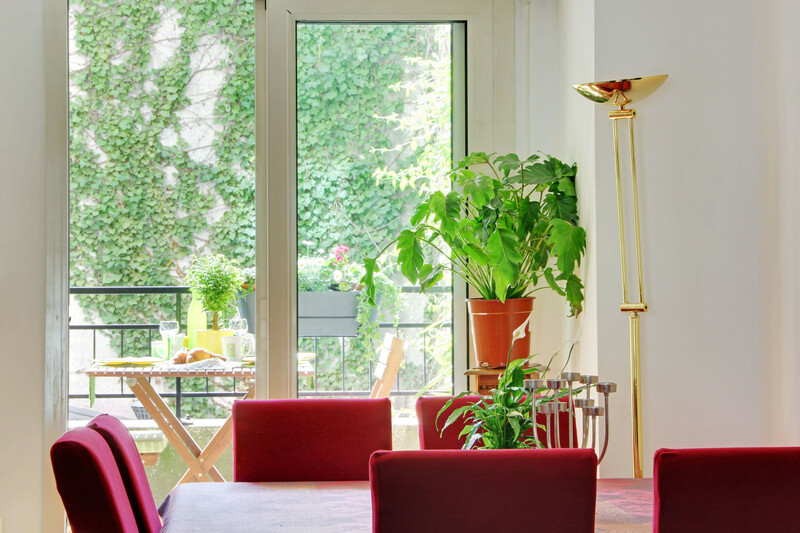 We would definitely recommend this apartment to anyone looking to explore Paris. It would cater for the needs of most people especially if you like walking the lesser known streets. (That said there is a metro station just around the corner and you can be at the Louvre in minutes). Excellent! 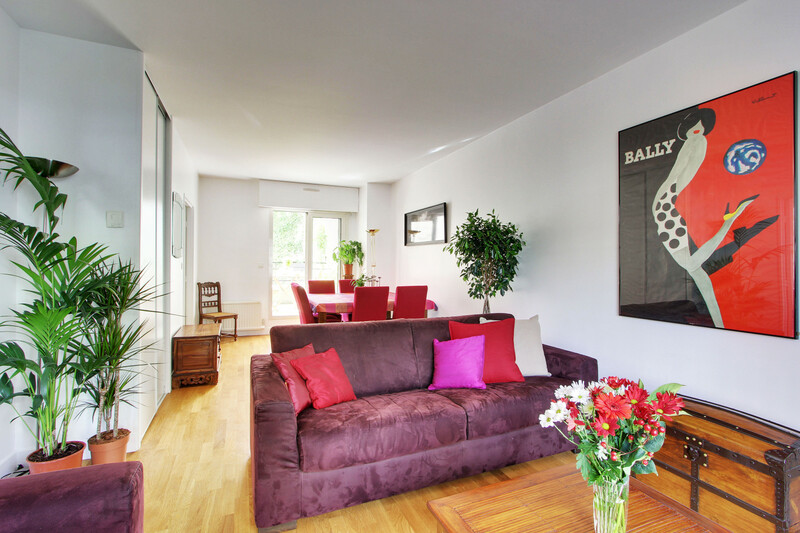 "Fantastic apartment - great for our little family"
My family and I loved staying at the Quai Valmy apartment. From beginning to end the experience was fantastic. The service from Paris Rental Connections was just superb. Friendly and efficient. Despite losing some crucial emails due to spam filters, Max our guide was brilliant and got us inside without a hitch. He was friendly, really welcoming and most important of all took the time to take us through the apartment and facilities in detail. The lift was a real plus, particularly as we were travelling with 2 young children and a few suitcases, so there was no struggling up multiple flights of narrow stairs with heavy bags! Although the apartment is facing a busy street, the double glazed windows cut out the noise from the street. 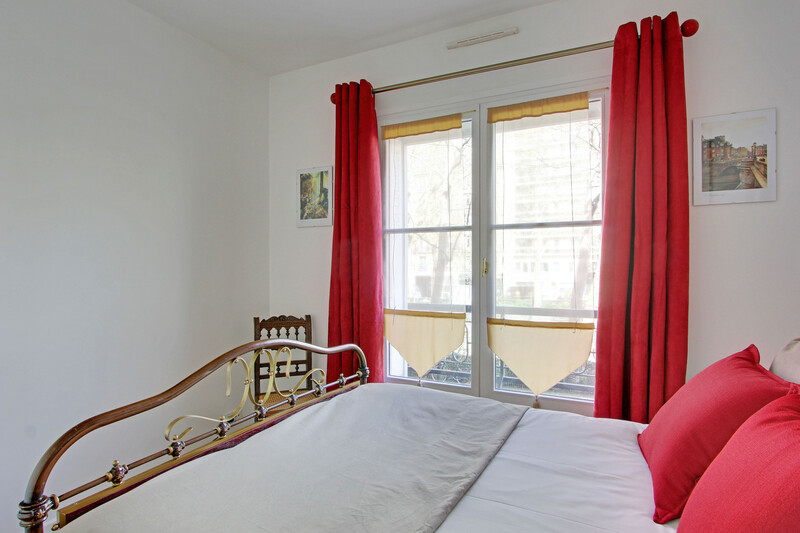 The location is great, within a few minutes walk to the Republique Metro station. There are also supermarkets and restaurants nearby. And most importantly there is a brilliant boulangerie/patisserie around the corner that makes delicious baguettes, croissants and a myriad of French sweets. And finally I want to say a big thank you to the owners for providing such a well stocked apartment. They have been so thoughtful - there is a chest of toys for kids (a very welcome distraction for our two), ample kitchen equipment to cook from home, umbrellas in case it rained...it was the small details that made a difference. It really made for a great stay in Paris. I would and have recommended this apartment to friends and family! Close to metro, alongside lovely canal in lively area. Agent was there to meet us and explained everything. Clean and well equipped. 2 adults and 2 teenagers but enough room for us for the 4 nights we were there. The terrace was great for a bit of extra space. Busy road outside but the double glazing worked a treat and we all slept well. Would recommend the apartment highly as well as the area.
" Nice apartment on 10eme arrondisement!" We stayed at this apartment with my husband and my 18 month-old and we really enjoyed it. The toy trunk was a nice touch if you are staying with kids. The apartment is very comfortable and well appointed. The location is great, very close to all means of transportation, and we had our own car so the parking space inside the building was definitely a must. The only cons I would have to comment on are the lack of A/C (which we knew about) and we could have opened the windows to let the cool night air in but the street outside was too noisy and my soon could not sleep (it is a very busy street, day and night, and also the cafe next door is very popular). Thankfully, we had the other window to the interior of the building, which helped. I loved the comfort of the elevator and the washing machine with dryer, which worked prefectly and it is very useful if you are traveling with kids and you want to pack light. A really good experience all around. The rental process was great - I relied on reviews and the response from the managers. I used PayPal with a credit card for security. The descriptions were accurate and the neighborhood was fun. Easy block or so to metro, great little restaurants and patisseries close. And watching the boats on the working canal was fun. It was nice to be out of the city a bit but close enough to trains and metro for quick city access. Full coffee pot as well as espresso and the washing machine worked well to clean up a week of clothes before leaving. I highly recommend this apartment. We stayed a week in Quay Valmy in May. 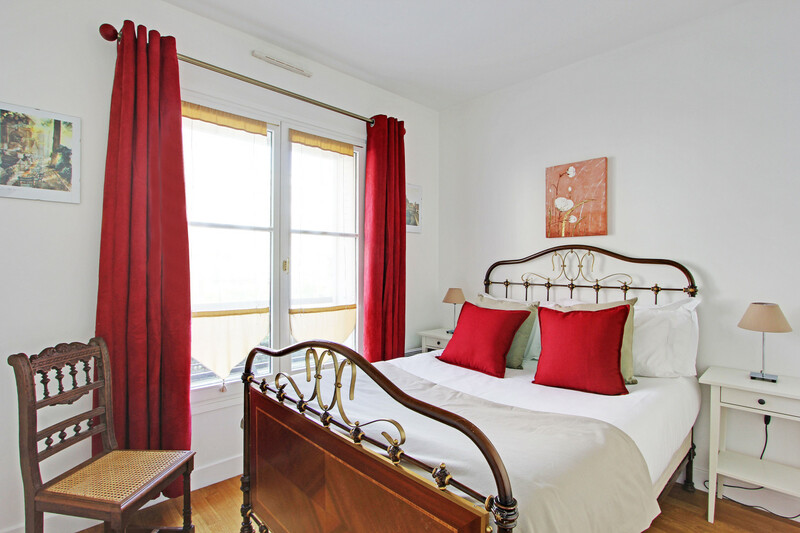 It was the perfect place to stay as it was very secure and had a great aspect and was also convenient to transport and walking to everything that Paris has to offer. Shelley was great in showing us all the details of the apartment. The kitchen was well equipped with appliances and cooking things. The terrace was lovely but the view from the front windows overlooking the canal was better - relax with a glass of wine and people watch after a long sightseeing day. We would highly recommend to others. This is an excellent apartment in a wonderful location. The agent was exceptionally warm and welcoming. Also very informative and helpful. The apartment is small, but well-kept with all the amenities. Very, very comfortable and again - great location! Small disappointments: no facial tissue or toilet tissue. Bath towels were thin and worn. We stayed in the apartment for 8 days. 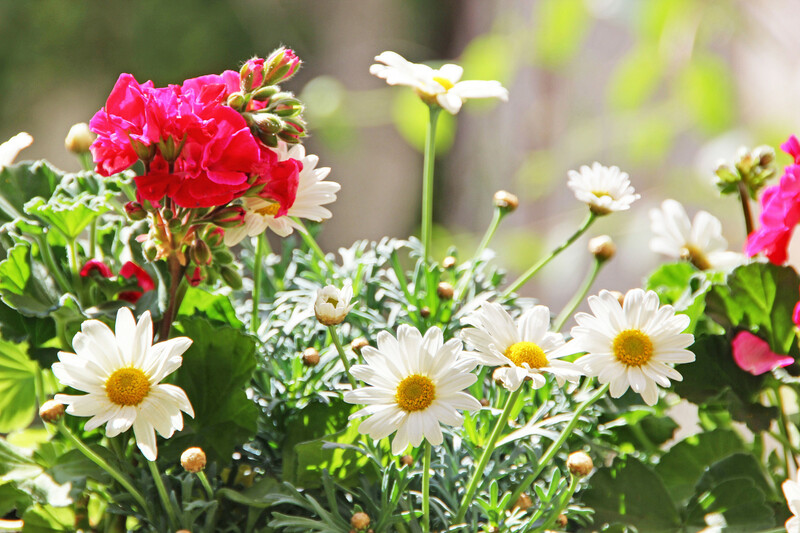 The apartment was clean, neat and everything was in great working order and the neighborhood was perfect. The person who met us at the apartment was very nice and spoke great english. She gave us a good overview of the apt and the area. The apt was very well stocked with all of the things you would need. Very secure location. Never had any concerns. We would highly recommend this apt. "Great location made our stay easy!" With our 6 and 8 year old boys, we had a wonderful stay. We paid the extra amount and parked our car in the underground garage, then left it there all week. The nearby Republique metro stop was easy to maneuver, markets we very close by, fell in love with the Normandy pastry shop around the corner. Had all the amenities we needed so we were instantly comfortable there, used their tour guide extensively, cooked in the unit with ease, used the laundry machine a lot. Bath and kitchen are new. I didn't give higher mark because they need to step up the maintenance a bit, replace shower curtain, a few light bulbs, dust bunnies under couch, easy stuff, bones of the place are excellent! "Good apartment close to the centre"
Well maintained, comfortable and spacious apartment with good range of facilities. Good location within walking distance of the centre and with good range of resturants, cafes and shops close at hand. However, it's not in the most characterful area of Paris, and isn't the most characterful apartment. Has it's own laptop and wi-Fi connection which is a real bonus. "The perfect place from which to enjoy Paris"
We so enjoyed our week at Quai Valmy. We were met at the property by a very friendly and informative agent to show us the ropes. Unfortunately there we some technical issues which were beyond her abilities to rectify which meant that we had to delay our Paris exploration somewhat, however, after a few visits all issues were resolved and we certainly enjoyed everything the apartment and the fabulous location had to offer, from the easy access to "velo routes" to the close proximity to the city centre and all the wonderful Paris landmarks, to the local Bistro's and quirky eating and drinking spots - we had a really great time and wouldn't hesitate to recommend the apartment to our friends. We thoroughly enjoyed our stay at Quai Valmy. The apartment was clean, had all of the amenities we needed, and was close to both the Republic metro line, and a great outdoor food market on Sunday morning. Would highly recommend this flat. The Paris Rental connection person met us and she was friendly and very pleasant. Thank you! "What a gem of an apartment"
We stayed here for just over 3 weeks and loved every minute. Have never stayed in the 10th before but this is the real Paris. Great restaurants, bars, patisseries and butchers shops near by. We were thrilled with the kitcehn which included all you need to cook and dine with. The petit terrace was perfect for drying clothes in "plein aire" and the sounds of the running waters in the canal locks was very soothing. The double glazing meant we had very quiet nights. Would we stay here again ?? You bet - we are already planning our next trip. The Chauffeur service recommended was also perfect and great value against a taxi. Thank you to all the great staff at Paris Rental Connections for such a smooth visit. "Outstanding apartment; very well outfitted"
This is a spacious apartment which is very well outfitted with consumable items and appliances. The view and location is excellent. "Fantastic flat in great location!!!" I can't say enough good things about my experience in renting this flat. First of all, the staff at Paris Rental Connections was fantastic in that they were willing to meet me at the flat to allow me to look at it first (I actually had to move out of a different terrible flat from a different rental agency for several reasons so was already in Paris). The flat has character but has updated features such that everything works well and it's toasty warm (I tested it out during that cold spell in Europe in early February). 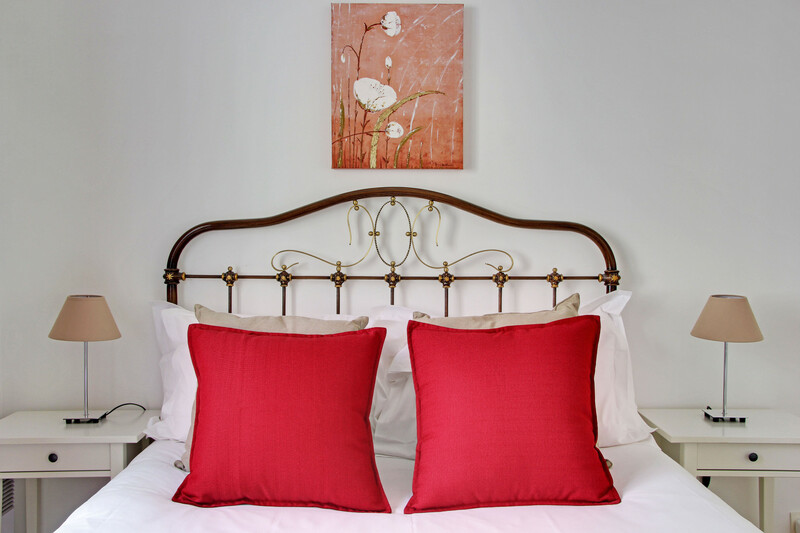 The beds are comfortable and the flat is tastefully decorated. It's in a secure building, very close to a main metro station and close to restaurants and also the Marais. It even has laundry in the flat and a laptop with wifi connection as well a a flat screen TV with all of the channels. I highly recommend this flat! The agent was really kind. The location of this apartment is very good, near of metro, the street is very calm and the neighbourhood too. The best Iliked was the comfort.I dislike nothing. "A beautiful apartment with a lovely view"
We loved the apartment. It was great to have a balcony and to watch the world go by along the canal looking out through the windows in the living room. Our three-year-old loved the toys in the treasure chest. We'd happily stay here again. We stayed in the apartment for a week for a combination of business and pleasure. The renting people were very easy to deal with, and the payment process was handled through PayPal. Security deposit refunded promptly after departure too. The apartment itself is very secure and the area that it is in is OK, although there are some slightly questionable people who hang around by the canal from time to time. They are fairly obvious though and can be avoided easily. Several cafes nearby as well as a convenient supermarket. Inside it is comfortable, clean and fairly large. The kitchen is well stocked and the washing machine useful. Wifi access was also very useful indeed. The patio has a good view to the much quieter rear face of the building. Would recommend to others.